The keto diet has become one of the most popular diets in decades due to its success in so many areas of health and unlike most fad diets, it’s not going away. But what is the keto diet? Why would someone want to eat this way? In my 40 years of experience in health and nutrition, I have personally experienced the benefits of this lifestyle and have done copious amounts of research on the keto diet to understand all of its benefits. It is truly one of the most incredible ways of eating I have ever witnessed. Though keto has just recently become a trend, this diet has been in existence for almost 100 years, so it is time tested. It simply is training your body to burn fat instead of glucose from carbohydrates for your body’s energy. As your body begins to run low on stored carbohydrates, the liver will produce ketones as an additional fuel source for your body to burn. Because of all of the questions about keto and interest in it, Cady and I held a lecture to answer many of the questions people have about this diet. The lecture was an overwhelming success and we are planning to do more in the future. The good news is that you can now listen to our original lecture below. Hopefully, this will provide answers to many of the questions you have about keto and how to embrace it in your life. Please check our website at www.nutritionw.com for events or Nutrition World’s Facebook page for our upcoming keto lectures. 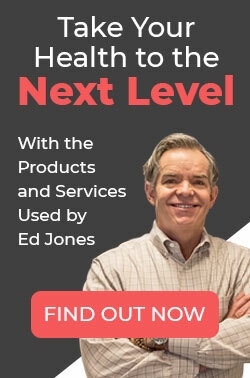 I want to offer everyone one of the most life-changing events ever to occur in health. Starting May 7th you will have a chance for a totally FREE online summit on the miracle of the potential power of Ketones. 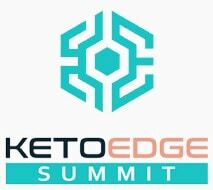 The Keto Edge Summit has compiled a host of the countries most experienced experts to teach how to use Keto for burning body fat, reduce inflammation and show promise is so many of our most dreaded diseases. This summit will feature 32 scientists, physicians, and health experts. Do not miss this opportunity.